Unique Moments Photography of Gig Harbor Washington will always capture pictures of the bridal dress , shoes and bridal attire details. Sometimes the locations let us get super creative with bridal dress pictures, and sometimes it limits us. 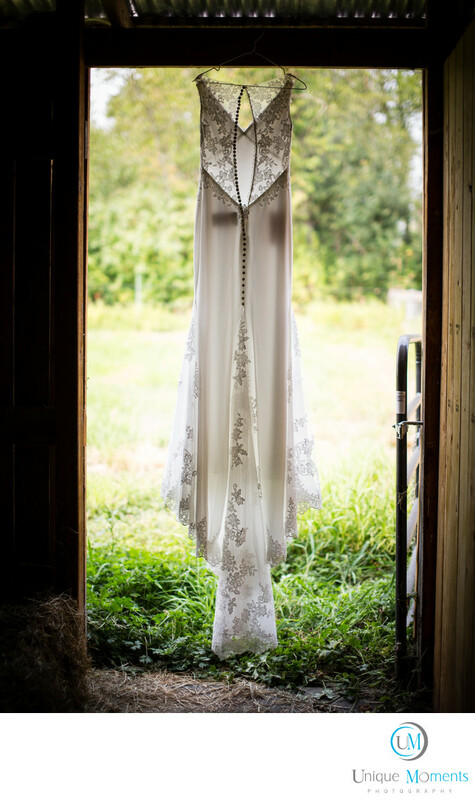 We took this bridal dress outside to the family barn where the reception was going to occur and took the picture outside. Windows are very popular these days as well as doorways. There are just a ton of ways to capture the bridal dress pictures but location is always the factor.